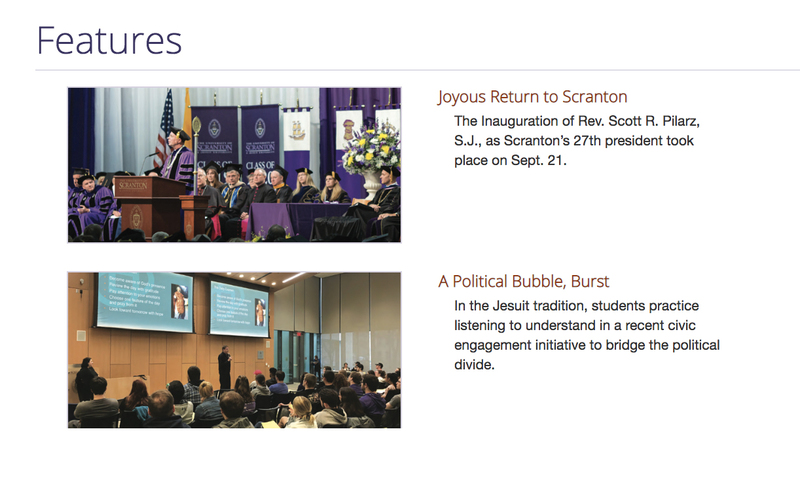 The Scranton Journal is published twice a year by The University of Scranton’s Marketing Communications Department and offers insightful stories and information of interest to our readership. 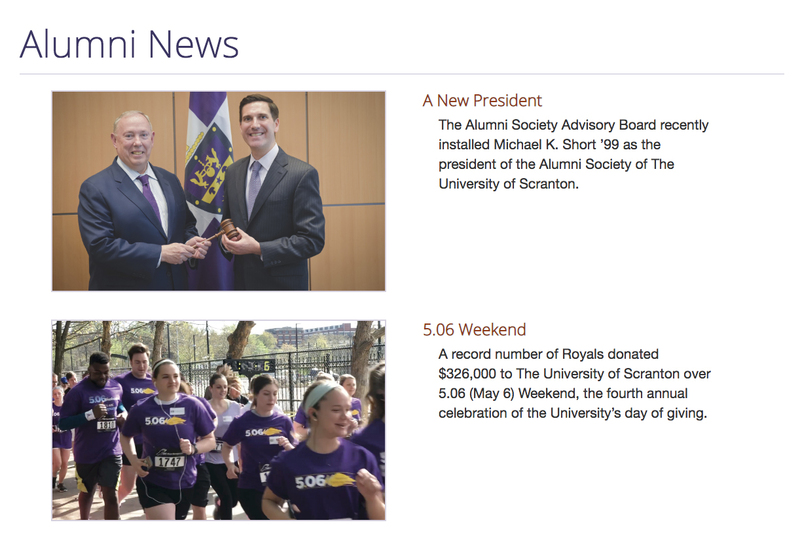 The online version of The Journal, located at scranton.edu/journal, includes stories from the print version with additional Web exclusives. The Journal is mailed to our alumni, faculty, staff and friends of the University. What Makes Up The Scranton Journal? This far-reaching section includes news, interviews and articles related to the University, faculty and staff and students. 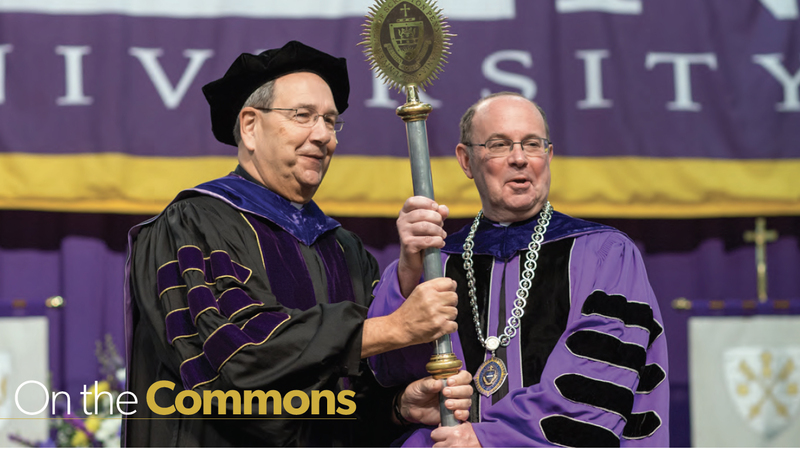 On the Commons is home to each issue’s President Message, as well as our popular Q&A with a member of our faculty or staff. 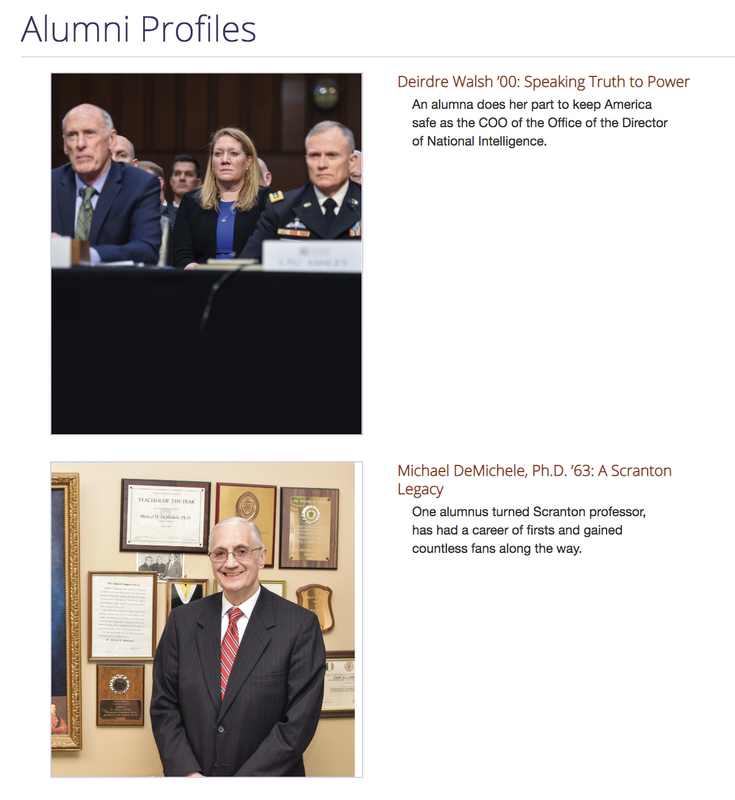 Our alumni profiles provide us with an opportunity to take a closer look at a few alumni with a remarkable story, either professionally or personally. This seasonal recap is provided by the University’s Athletics Department, highlighting recent Royal athletic teams and their achievements. This section’s articles and photography focus on recent alumni events, activities and initiatives, both on and off campus. The stories from our Alumni section is provided by the University’s Office of Alumni and Parent Engagement. This section highlights our feature articles. Undoubtedly one of the most popular sections of The Scranton Journal, Class Notes highlights four distinctive areas: Milestones, Births, Marriages and In Memoriam (Deaths). Class Notes photos are not only welcome, but are encouraged. On the Journal’s online site, Class Notes are searchable by name, graduation year or keywords.